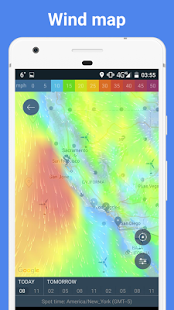 Windy is a handy wind forecast app for extreme sports based on wind and other outdoor activities (SUP, fishing, bike, RC pilotage). You can see all weather data on one screen. You can see at a glance wind conditions for next ten days in Windy-bar or find more precise details in Windy-table. Also check out our WOW-feature: animated wind map – it shows how the winds blow on the globe. Design is our main passion. We are trying to show you wind in most beautiful way. 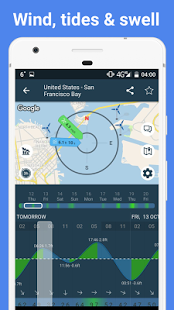 ☆ animated wind radar – must have for sail and yachting and also for kiting in light wind. Normal people can relax and meditate watching animated wind. In this version we’ve added recommended kite size due to wind speed on the spot. To enable this feature, go to Settings and add “Kite size” to your weather profile. This feature is available for PRO users only. Like the update? 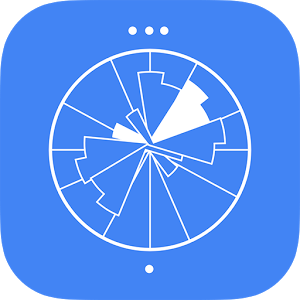 Rate us on Google Play! 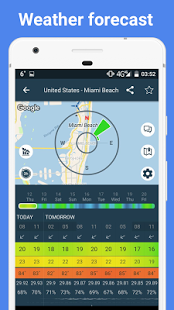 0 Response to "WINDY: wind & weather forecast v4.2.25 [Pro] APK [Latest] "